"Thank you for everything, Earth, I love you!" 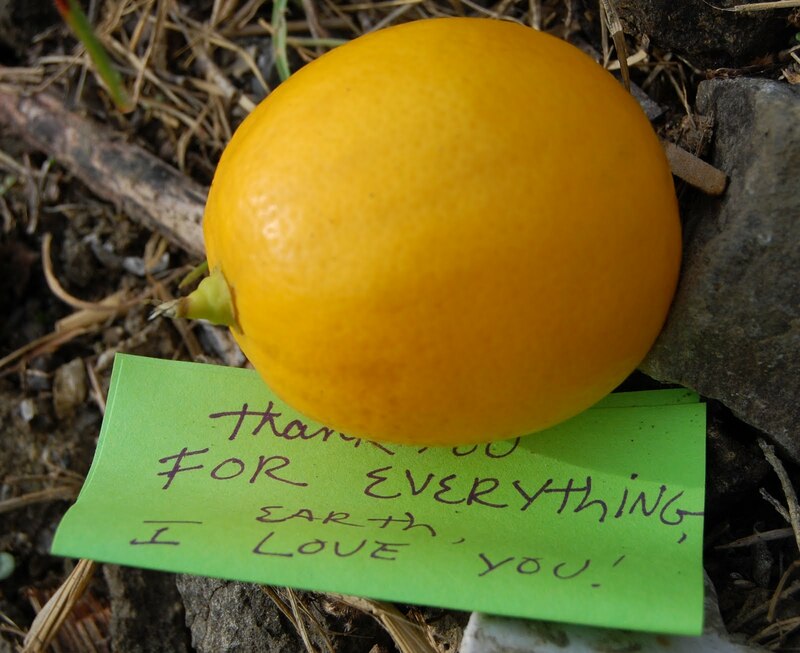 This lemon and note were at the center of one of the labyrinths in the Sibley Volcanic Regional Preserve. This one is named after Helena Mazzariello who established it in 1990. I originally misread the history of the area and though it to be much older; I was led astray by a site describing the first Caldecott Tunnel, which dates from 1903.